Laura O'Connor, a math teacher at Oakdale Middle School in Rogers, picks up free items on Wednesday Aug. 8 2018 during the Thank A Teacher Celebration at Rogers High School. 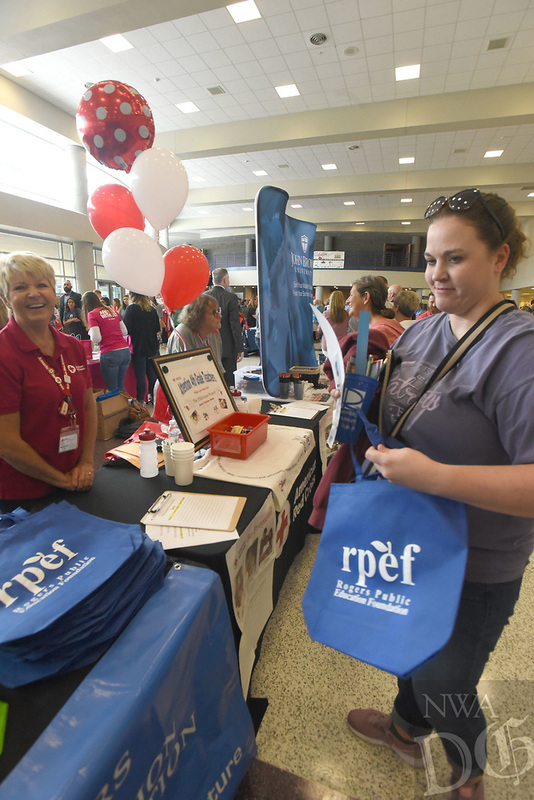 Teachers in the Rogers school district and private schools in the district were treated to prize drawings, free items from businesses and breakfast at the annual event to welcome teachers and administrators back to the classroom. Rogers-Lowell Area Chamber of Commerce hosted the event. The first day of school is on Wednesday for Rogers schools.